More than three-quarters of the British public say they trust the NHS with their personal data despite recent privacy scares highlighted by the media. According to a survey by consumer health and social care body, Healthwatch England, 77% of adults are confident in the ability of the NHS to protect their patient data. Meanwhile, 73% would be happy for the NHS to use their personal information to improve healthcare. However, more than half of people cited concerns about how their information was used. The findings, based on a survey of 2,072 people in March 2018, suggest a high level of trust in the NHS’s ability to keep the public’s information secure. This is despite privacy scares brought to light in the recent Facebook/ Cambridge Analytica scandal. This is not to say that perspectives on data security have not gone unaffected, however: just over half of those polled (53%) said they were more aware of data security issues than they were three years ago, while 57% also said they were more concerned about how their data was used in general. Last month, NHS Digital launched the national data opt-out programme, allowing people to choose how their health data is – or isn’t – used by the NHS for healthcare research. Healthwatch England’s survey suggested that, while the majority of people were willing to share their data with the NHS, two-thirds of those polled felt they may later regret their data being shared with NHS partners, such as technology companies and universities. At the same time, 53% of the 1761 people who had heard about the WannaCry attack that affected the NHS said it had made them less confident in the ability of the NHS to protect their data. The survey was conducted in partnership with research consultancy ComRes. Commenting on the introduction of the patient data opt-out and public attitudes to data sharing, Jacob Lant, Healthwatch England’s head of policy, said: “Our conversations with people over the last three years have consistently shown that the public trust the NHS with their data. Indeed, our latest survey shows they have more faith in health and care services to use data appropriately and keep it safe than any other sector, including retail, banking and other public services. The national data opt-out replaces the previous ‘type 2’ opt-out that allowed patients to inform NHS Digital if they did not want their data shared for purposes other than their personal care. 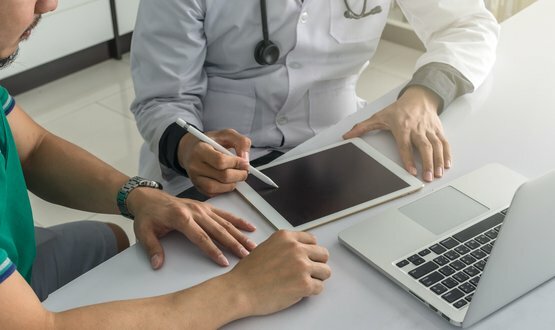 While the opt-out programme only covers data held by NHS Digital for now, other organisations that use health and care information will need to be compliant by March 2020. NHS Digital also recently launched the revised data security and protection toolkit, which aims to further secure patient data. All NHS primary care and social care providers, as well as commercial third parties, must complete the toolkit to provide assurance that they are practising good data security and that personal information is handled appropriately. The NHS can’t even be trusted to produce honest records, let alone keep them confidential. So Dan you would like some educating on “Blind Faith”. Well they were a late 60’s English blues rock band, arguably the first supergroup of their genre; (Eric Clapton, Ginger Baker, Steve Winwood, and Ric Grech). Great song list and great on stage. Hope that helps you. More of a Yardbirds man myself, but you can’t argue with that line up. Given that the DHSC and the NHS are doing everything they can to conceal their activities from the patients and the public, it is difficult to blame people for their blind, and certainly misplaced faith. The problem is that the blind faith of many will be used to bully the rest of us. It will sanction conversations along the following lines. Patient says: The NHS is doing XYZ and I object, for reasons ABC. NHS replies: The NHS will do XYZ. We hope this information is helpful. Blind faith – people need educating.